With the passing of the Twenty-first Amendment to the United States Constitution 80 years ago today, December 5th, 1933, Prohibition ended, and the country got DOWN. It’s hard to believe that the prohibition of alcohol lasted as long as it did: from 1920-1933 – 13 years! Of course, we all know what a failure the 18th amendment was, not only because it was highly unpopular and very difficult to enforce, but it was also responsible for ushering in a new age of violent, organized crime…and it didn’t prevent people from drinking! It was also a costly endeavor, with the government losing an estimated 11 billion dollars on federal liquor tax revenue and spending over 300 million dollars on Prohibition enforcement over those 13 years. This costly hit to the economy was especially hard during the Great Depression. Booze is good business, duh! Many of the prominent people originally behind the powerful Temperance Movement, like the wealthy financier and philanthropist, John D. Rockefeller Jr. ended up changing their tune once it was clear that Prohibition just wasn’t working out. In 1932 he wrote a letter in favor of the Repeal. Those words proved to be powerful ones and a year later the repeal took place. Hurray! But it’s been a long road back to quality booze, decent cocktails and the overturning of liquor laws that have been stubbornly in place since then. 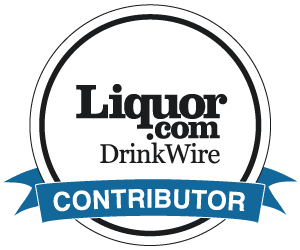 As I mentioned in my very first blog post on Bit By a Fox, it’s only been about 10 years since some pivotal liquors laws have been changed to allow smaller batch spirits production to flourish. And, boy have they! So, today, raise a glass of your favorite adult beverage and toast how far we’ve come. Happy Repeal Day! « Happy Thanksgiving, Foxy Friends!